I drove myself down to Woodland Hills recently to meet with wine importer of the year Alex Guarachi, the CEO of TGIC (Thank God it’s Chilean) to learn about Chile’s Carmenere grape, TGIC distributing California wines – including Alex’s own Guarachi Family Wines label – and to do some tasting! Oh, and did I mention, some of it would be filmed? It just so happened that a few days after my meeting with Alex I was to do my hosting duties at a Grape of the Night, GOTN, event. My staff writer, Rusty Sly, leads our monthly classes where a varietal is selected in advance and all attendees bring said varietal in a side-by-side comparison. 1. How has the Carmenere varietal developed in Chile since its introduction? Alex: Twelve years ago vine experts from France and Chile determined that the grape known as the Chilean Merlot wasn’t Merlot. The leaf looked like Merlot…but in fact… it proved to be Carmenere. The difference this knowledge made to Chilean winemaking was huge as Merlot grapes ripen early in the season; while Carmenere grapes ripen later. Hence, the early Merlots tasted somewhat green. Now, by planting Carmenere in the right spots – and we’ve learned that the Colchagua Valley is one of them – there has been great success. Three years ago it was a Chilean Carmenere that was the number one wine of the year named in Wine Spectator magazine. The wine never ceases to impress with its multi-layers, spice, generous black and blue fruits…it is just done so well. 2. How has the terroir of Chile influenced the varietal in comparison with the same varietal in France? Alex: In 1850 Carmenere, brought in from France, began being planted in Chile. When phylloxera wiped out France, Chile still maintained its original French rootstalks. 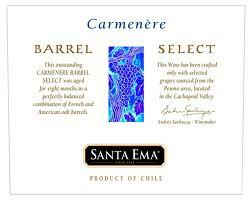 While Carmenere continued to grown in Chile, France never replanted it. They felt that the grape did not do as well in the French climate – it was too cold to ripen – as it does in Chile. In Chile’s climate the Carmenere grape ripens in May, in colder climates, more like November. It’s a fickle grape! I had always known TGIC for importing Chilean wines, then, as they grew, so did their portfolio. Many wines, scoring 90 points and higher from reputable sources such as Wine Advocate, Wine Spectator, Wine Enthusiast, Wine & Spirits – were now being imported from Argentina, New Zealand and Spain. But, most exciting for Alex, is now covering his California home, in creating his own wines under the Guarachi Family Wines label and more. 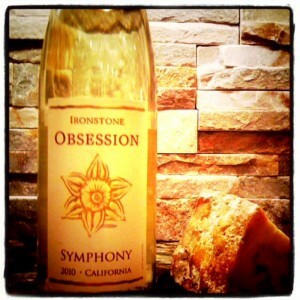 Although several wines were poured for our tasting, including ‘10 Ironstone Obsession, both ‘10 Guarachi Family Wines Chardonnay and Pinot Noir, 07 Napa Angel, 07 Star Angel (Both by Chile’s most famous winemaker Aurelio Montes) and ‘10 Ironstone Signature Zinfandel I only have intensive notes for two! Suffice it to say we were very busy chatting about the wines and the wine business, for me to make any notes. And, I enjoyed every wine served. Greeted by a deep garnet color stretching out into a dark ruby edge, the aromas greeted me before I even nosed the glass: Bright cherry, raspberry and sweetened plums with a little mint followed by a hint of stems pulled from good rich soil. I could hardly wait to taste: a perfect balance of white pepper and tannins backing up all that beautiful fruit I found in the nose. I can’t disagree with the Wine Spectator on this one (94 pts for the 08 and 92 on the 09), it’s gotta be at least 95 Eve Points. Proving what I’ve recently learned, that lower alcohol wines are great for the daytime this Symphony would have paired well with either Belgian waffles topped with fresh strawberries or some Stilton blue cheese. The color, almost clear like the highest-grade diamond, but with the lightest of straw color on the edge. It had an effervescence when I re-opened it hours after my initial tasting. Again, as with the Pinot Noir, the aromas swept up to me before I even brought my nose to the glass. This time I found honey quickly followed by jasmine, pear and the palest essence of pink lemonade. 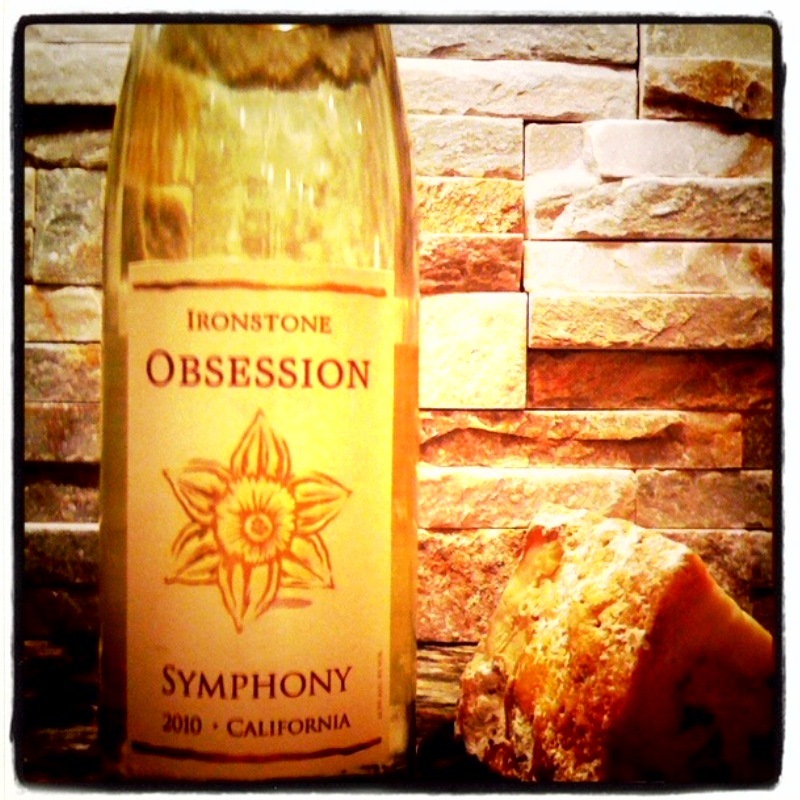 The rich mouthfeel coated my palate with that same honey in a sheer form, orange liqueur, and the acidity left on a very long finish created an “obsession” for more. I’d have to say a good 92 or more Eve Points. 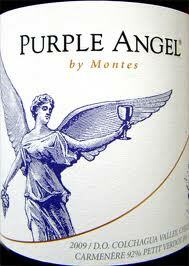 This young wine, at about $10 retail, had a rich magenta color stretching out to a ruby edge. The group caught aromas of dark berries, spice, tobacco and a little mint, followed by tastes of currant, cassis, tart cherry and smooth tannins. The consensus was that it was similar to a Cabernet Franc and all wanted to revisit the wine after a few years, or a few more minutes in the glass. Excerpt from http://tgicimporters.com/about/team/alex-guarachi/: TGIC celebrates its 25th anniversary this year. To commemorate this milestone, Alex has introduced Guarachi Family Wines, and is enjoying the fruits of this labor. With his friend, Paul Hobbs, as winemaker, Guarachi Family Wines Pinot Noir has been awarded 94-points by the Wine Spectator. The revered publication gave the Cabernet Sauvignon 92-points. Though Alex is from Chile, he sports an immense passion for California wines, which is why his freshman effort springs from vineyards in Napa and Sonoma counties. Alex is a recognized authority on wine and has been featured on KABC-TV, The Tasting Room with Tom Leykis, The Wine Spectator, Los Angeles Business Journal, the Daily News, Wine Business, The Tasting Panel, Beverage Media, Golfer’s Guide, The Santiago Times and numerous other publications.